Specializing in the music that seniors love to hear! 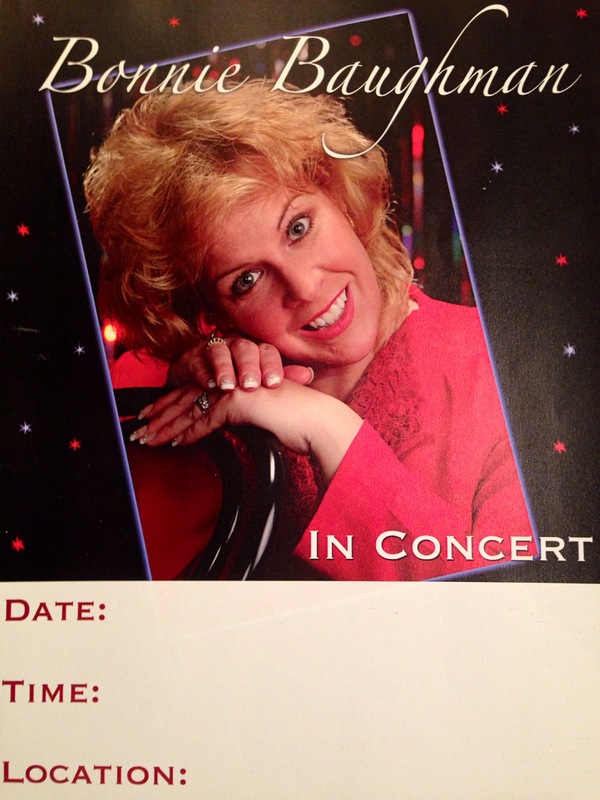 You will enjoy the music of singer and songwriter Bonnie Baughman. Born and raised in Akron (Kenmore), Ohio, Bonnie spent her teen years singing in church, school choirs and productions, scoring high in vocal competitions. Bonnie started singing professionally after her first CD of hymns and favorites titled FOR HIS GLORY. Her second CD titled TRANSFORMED BY HIS LOVE contains original contemporary Christian music. 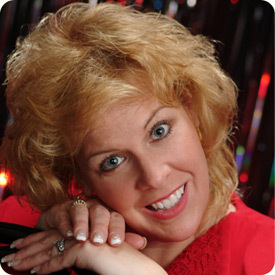 CHRISTMAS MEMORIES and SONGS FROM DAYS GONE BY are her latest CDs available for purchase. SONGS FROM DAYS GONE BY features a selection of beloved Oldies. Bonnie purpose in life is to bring joy through music and song . Whether Bonnie is singing : Love songs, patriotic songs, show tunes or Gospel, she is certain to not only entertain, but also uplift your spirit as well. Bonnie can regularly be heard online during Down Home Gospel on www.faithministryradio.com/. Bonnie's music is one of 10 local recording artists that has been featured on the Down Home Gospel radio program on 95.9 The Light FM, WLRD - 96.9. 90.1FM and, 90.9FM. She has also be heard on the Come Alive program on WJEE 90.9FM and WJDD 90.1FM.